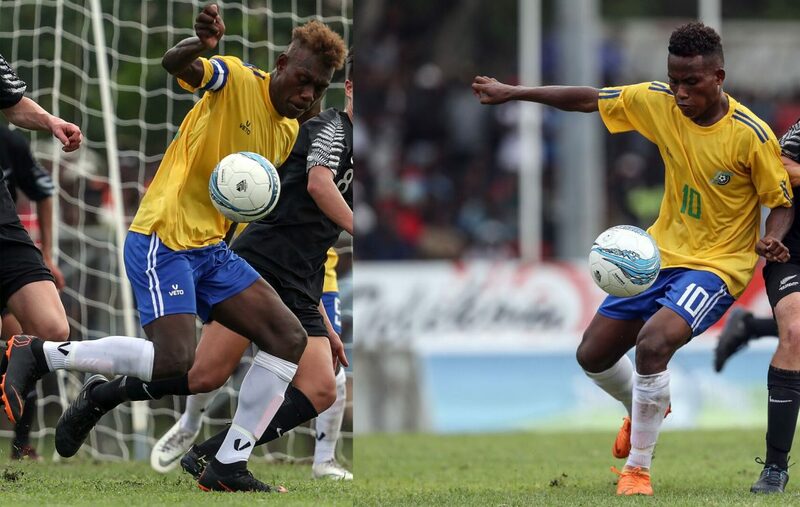 Solomon Islands national U-17 players Raphael Lea’i and Leon Kofana have secured one year scholarships to study at Scots College and train with Wellington Phoenix leading up to the FIFA U-17 World Cup in October. The duo caught the attention of Wellington Phoenix scouts during the World Cup qualifiers in Honiara last year. Under the scholarship, the youngsters will attend school at Scots College and train twice a week with Wellington Phoenix. Scots College is an independent day and boarding School with a Presbyterian heritage. As an International Baccalaureate World School they offer a dual qualification pathway with a truly global perspective. With three distinct schools within one College, they are well positioned to provide a world class education to help each student reach their all-round potential. Students are provided with opportunities in many areas to develop their potential across academia, sport, culture, service and spirituality. Wellington Phoenix academy have had produced most of New Zealand’s professional footballers who go on to play professional in Asia, America and Europe. Raphael Lea’i was excited to go on new journey in his life after a fruitful year with both the national U-17 futsal and football side. “As a young player I am very happy to get the scholarship from a professional club and to be able to study at the same time”, he said. “I am looking forward to experience a new environment and can’t wait to learn from professional coaches and players at Wellington Phoenix who are the only professional club in the region. “I believe training with top coaches there will help me improve my game ahead of the World Cup in Peru”. Defender Leon Kofana shared the same sentiments, stating it’s a huge opportunity for him to train with the Phoenix. “I heard that Wellington Phoenix are playing in the A-League and it’s a great opportunity for me and Rafa to train with them”, he said. “We know it will be a new experience for us but we will try to make the most of it while we’re there. “It is nice that I have Rafa with me since we have played at the Youth Olympics and helped our country qualified to the World Cup last year”. Parents’ of the two players signed the scholarship agreement with the full support of the Solomon Islands Football Federation (SIFF) technical department. SIFF Technical Director said the young lads deserved the scholarship after their successful campaign with the national U-17s last year during the World Cup qualifiers. “I believe the daily basic routine, the daily basic training is going to be much better for them (Raphael and Leon) there than here”, the Spaniard said. “Actually I think it’s a wonderful opportunity that every single kid in this country will want to have. “So I am really happy that they are doing it and I know it will be good for their personal life and football life”. The two players are expected to leave next month when all travel arrangements are done.